Easter might not be until Spring, but you can be sure that as soon as the Christmas advent calendars have disappeared, supermarkets will be stacking the shelves with chocolate eggs and Easter bunnies. These traditional Easter festivities are always something children (and adults) can look forward to. If you gave up chocolate for Lent, then like my mum, you are probably counting down the days until you can reward yourself with a giant chocolate egg delivered by the Easter Bunny. But where did these traditions start? 1. Christians might be celebrate Easter as the time when Jesus Christ was resurrected from the dead, but Easter is in fact a Pagan festival. 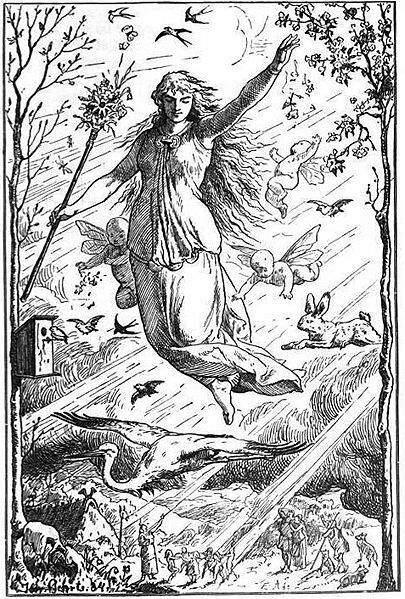 For the Anglo-Saxons it was a time to celebrate the coming of spring in honour of the goddess, Eastre. The Germanic Pagan goddess was a symbol of fertility, and because of the prolific nature of rabbits and hares, she was inherently associated with them. This is why rabbits make such a fruitful appearance in Easter traditions. 2. 3. The first documented appearance of a rabbit as a symbol for Easter is in 14th century Germany when Roman Catholicism merged with their Pagan beliefs. Later in 1680s, a German botanist called Georg Franck von Franckenau, wrote the book De ovis paschalibus that talked about a rabbit that laid eggs and hid them in the garden. 3. Have you ever wondered why Easter is never on the same day? To me, it never used to make sense. If Easter celebrated the day of Jesus's resurrection, then why does the date keep changing? Shouldn't it be the same every year? Well as we have already established, Easter did not actually originate with Christianity. Easter's date is determined through celestial means. Back during the time of the Roman Empire, Emperor Constantine created a ruling that has since been the cause for our constant confusion. 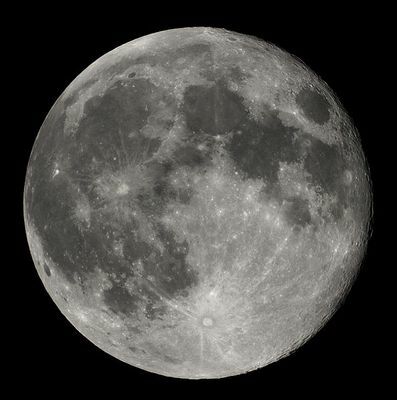 He stated that Easter should be celebrated on the first Sunday after the first full moon after Spring Equinox. This is because it was the day of maximum light - twelve hours daylight, twelve hours moonlight. 4. Some believe that the cross on a hot cross bun is a symbol of the cross Jesus was nailed to, but in fact, the Anglo-Saxons ate these buns, decorating them with a cross to symbolise the four quarters of the moon. In English folklore, it is believed that hot cross buns would help an ill person get better. They may not be a cure to any illness, but they will certainly put a smile on your face. 5. Eggs are associated with Easter not because of the egg shaped stone Jesus was buried behind, but because they are a symbol of re-birth and renewal in spring. The association with the resurrection came later, and one fun tradition that symbolises the rolling away of the stone is an egg rolling competition, where people decorate hard boiled eggs and roll them down a hill. Whosever's egg rolls furthest is the winner. Tried to share on FB - it would not let me do so. I think the Hare was the sacred animal of Eostre, particularly active in Spring (in Europe) when they box each other -"the mad march hare". Hence the Easter bunny.